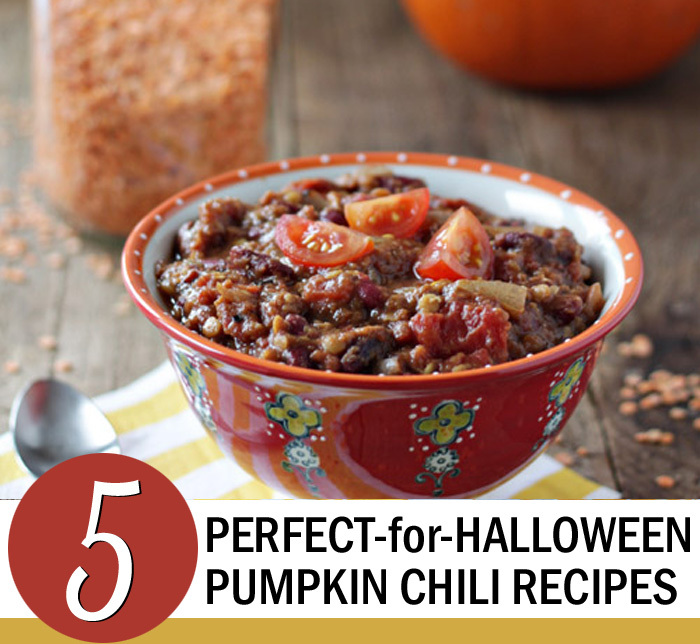 Around here, chili is a must for Halloween night – preferably, one that’s been simmering in the Crock Pot all day. 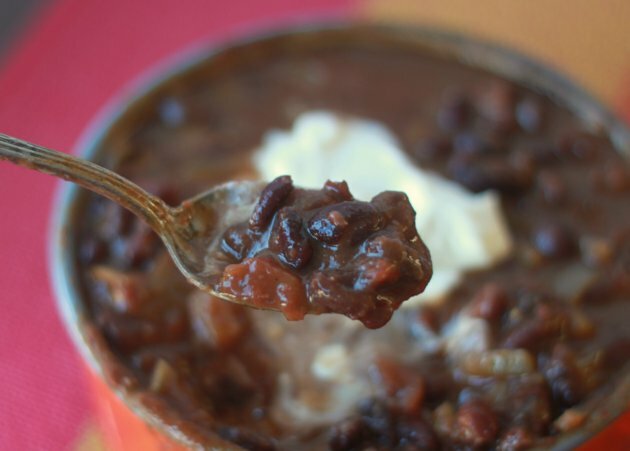 Black beans and pumpkins are BFFs, and this cozy meatless chili shamelessly takes advantage of that natural pairing. 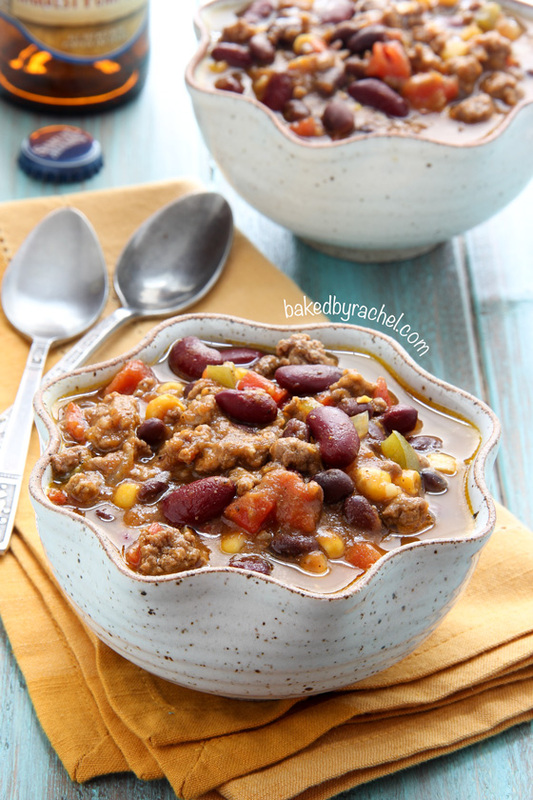 It’s a Crock Pot chili, so just assemble it in the morning, come home later, and devour before hitting the ‘hood for candy. 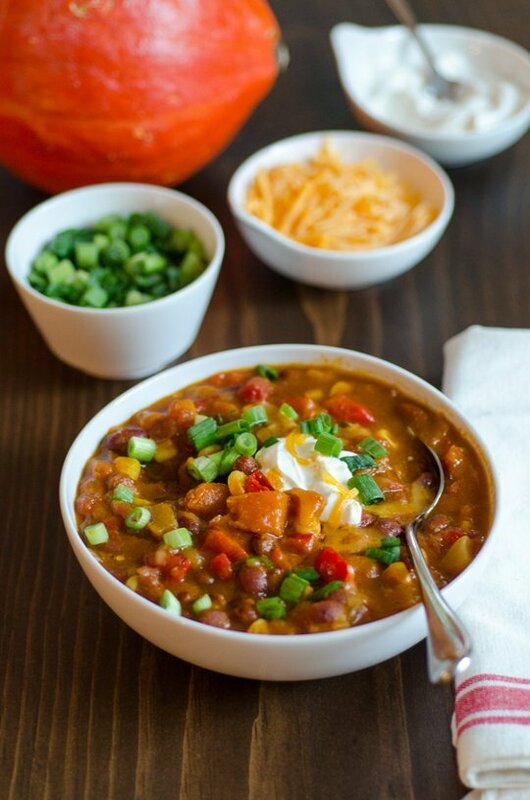 I adore chickpeas in chili (it totally works) so my heart skipped a beat when I happened across this veggie-friendly pumpkin chili from Julia’s Album. Yum! 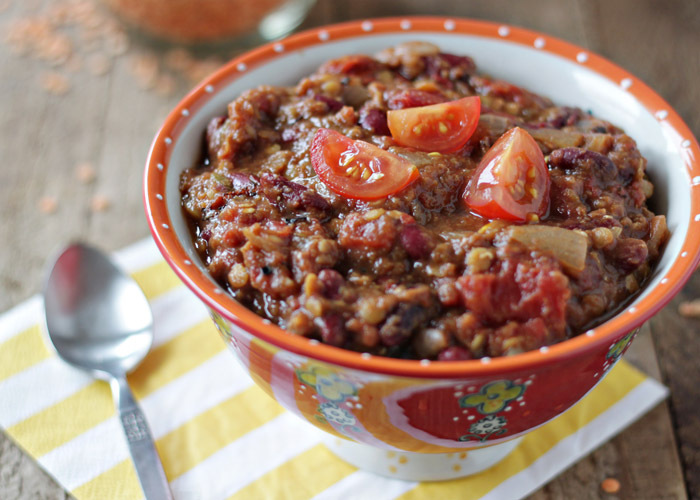 Hearty, protein-rich lentils amp up this richly spiced pumpkin chili. Plus, it’s vegetarian – vegan if you adjust the toppings. Bonus: It’s a slow cooker recipe, allowing you to focus on trick-or-treaters rather than dinner prep. This one has ground beef and beer – basically, it would make my guy super happy. And plenty of others, too. 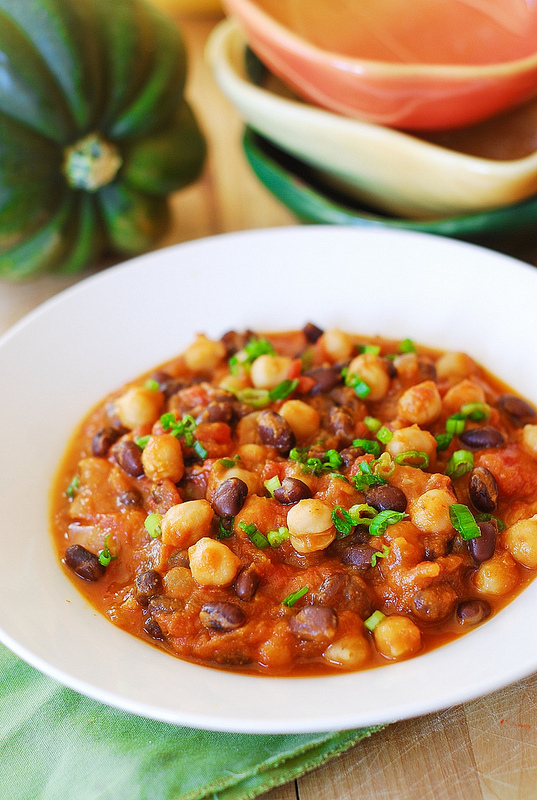 Anne sought a hearty pumpkin chili with actual chunks of pumpkin – not puree. She couldn’t find one, so she made her own. And we’re so glad she did.